Willie Nelson’s “Roll Me Up and Smoke Me When I Die” is being touted as the highlight (pun intended) of the 2012 CMT Music Awards. Watch the so-called “marijuana song” being performed live! Willie Nelson’s 2012 CMT Music Awards performance is a must-see for fans, fellow musicians and marijuana enthusiasts alike. After performing what has been dubbed the “marijuana song” on stage at Wednesday night’s ceremony, Willie Nelson is being described as having “lit up” the stage. 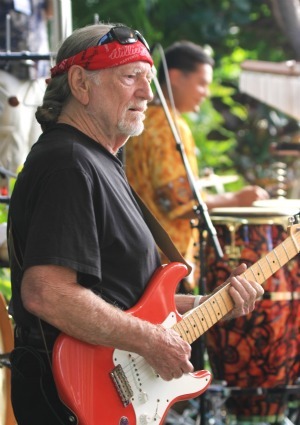 Fellow musicians who joined in singing “Roll Me Up and Smoke Me When I Die” (the official name of the hot track off Willie Nelson‘s Heroes album) included Toby Keith, the Zac Brown Band, James Johnson and Darius Rucker. And just roll me up and smoke me when I die. Watch Willie Nelson’s “marijuana song” performance at the 2012 CMT Music Awards here!